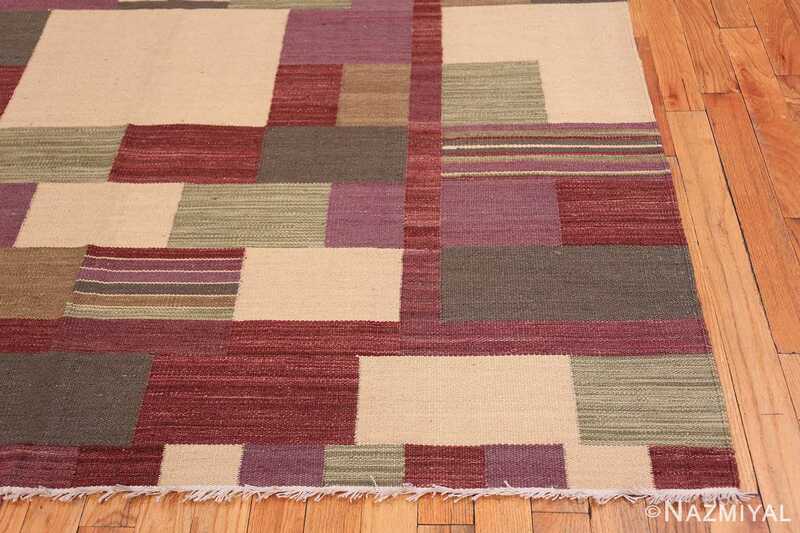 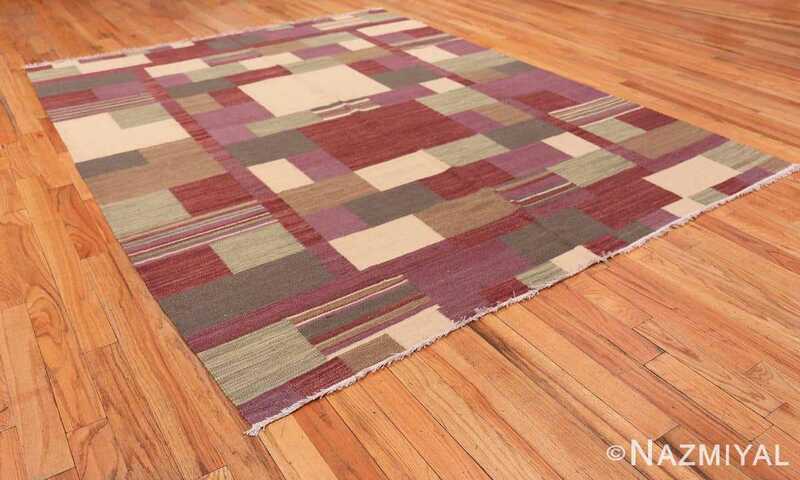 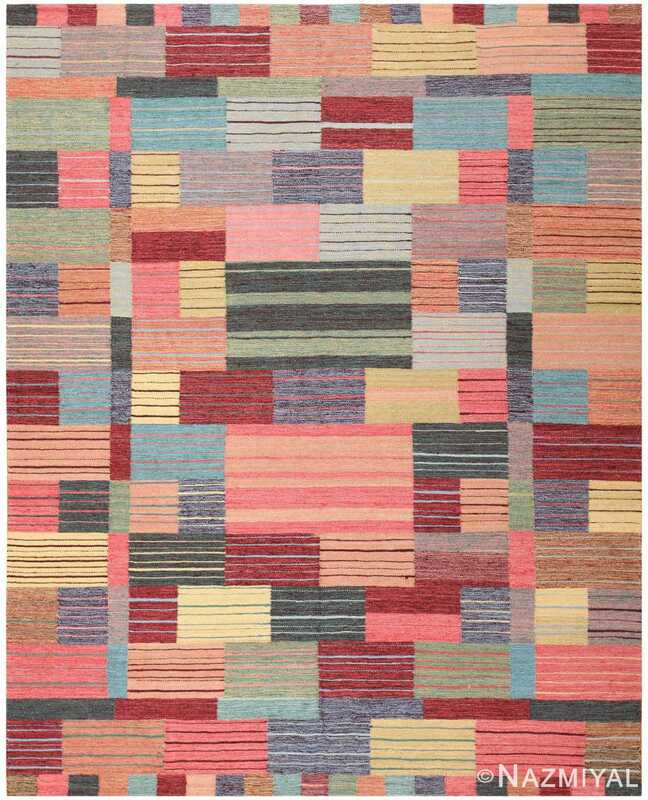 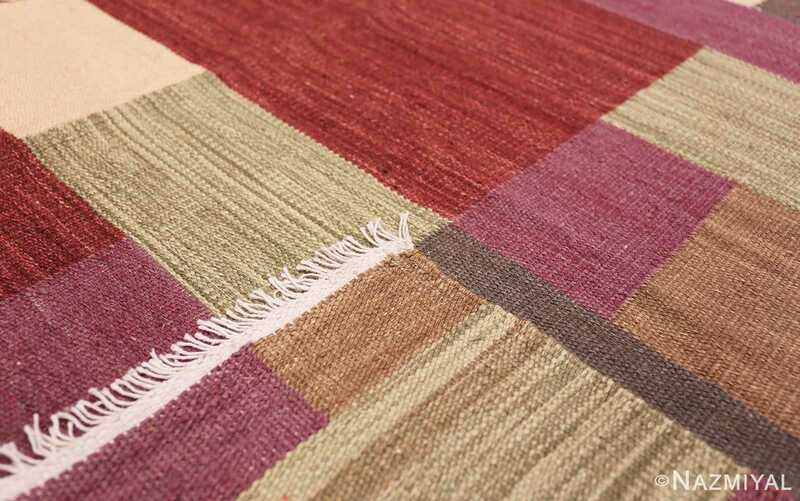 Beautiful Flat Woven Modern Contemporary Swedish Inspired Kilim Carpet, Country of Origin: India, Circa date: 21st Century – The masterful rhythm, unique geometry, and warm hues of this sophisticated Swedish inspired kilim rug form a remarkable and decorative piece. Geometry defines the Modern carpet; bold, rich colors dominate it. 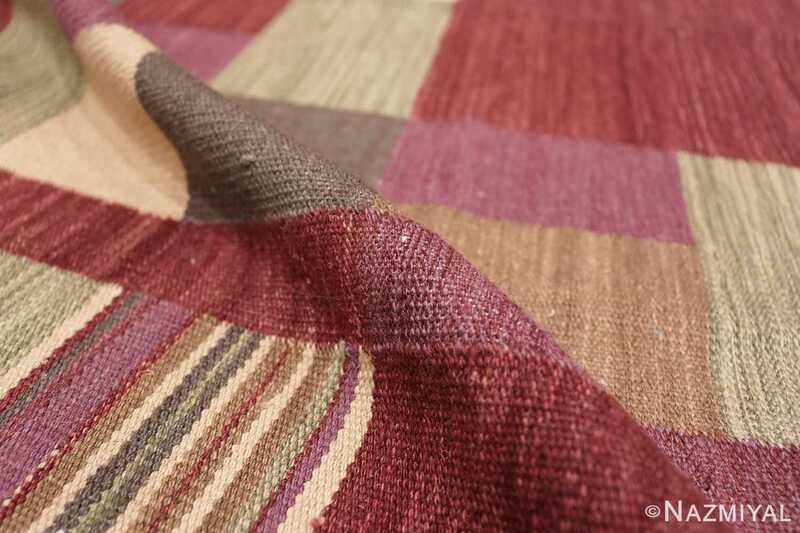 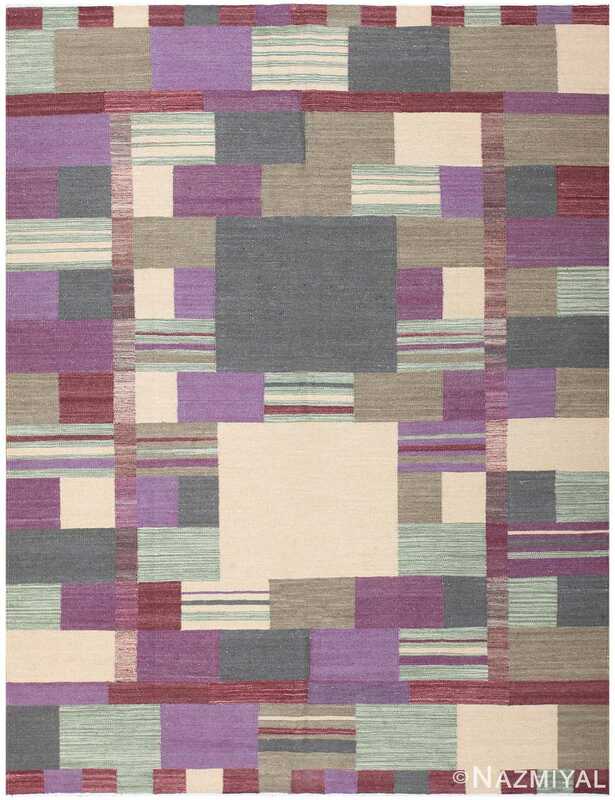 This Swedish inspired modern contemporary carpet features deep red, muted taupe, vivid heather, deep green, and light sage alternate and intersperse to create a visually captivating work of art. 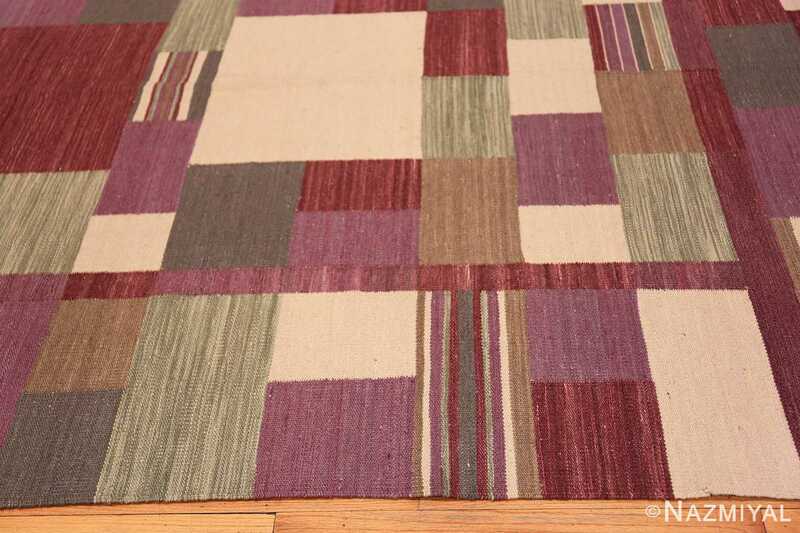 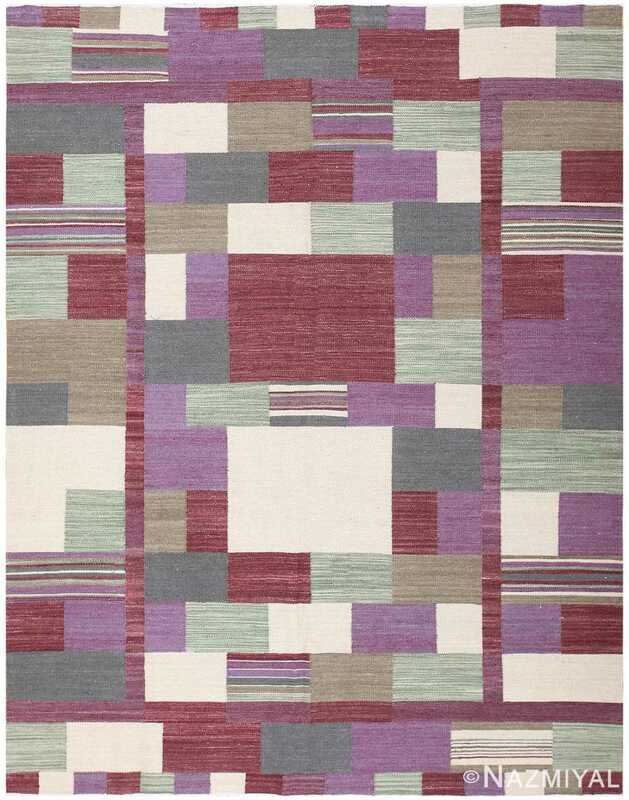 Bold green, rich purple, deep grey, and rustic red form an elegant pattern fitting for any space. 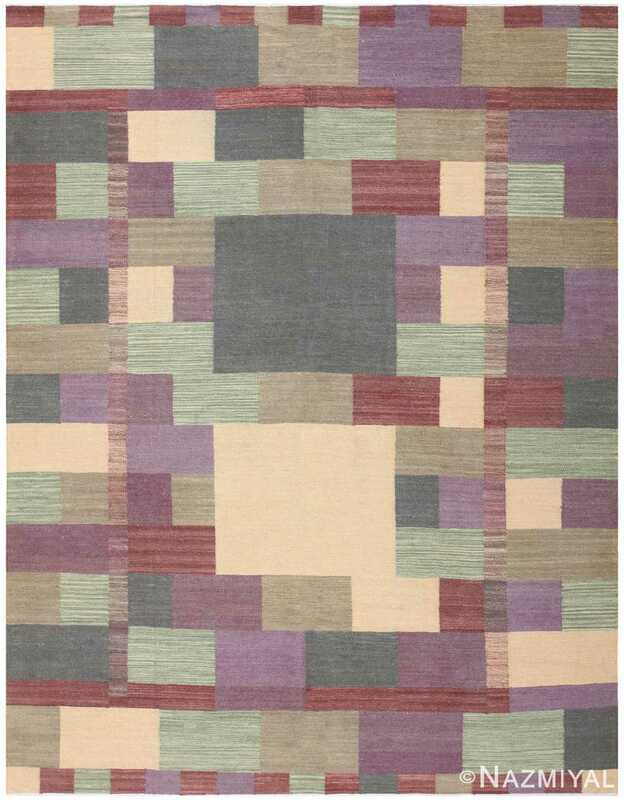 The creative hues, flawless geometry and masterful balance create a stunning work of art as well as a highly decorative carpet for any home.